Nelson Roofing & Sheet Metal Ltd began operations in the Comox Valley in 1980. Today, our corporate head office is located in Cumberland, and we have branches in Campbell River and Powell River. We are the biggest roofing and cladding contractor north of Victoria. 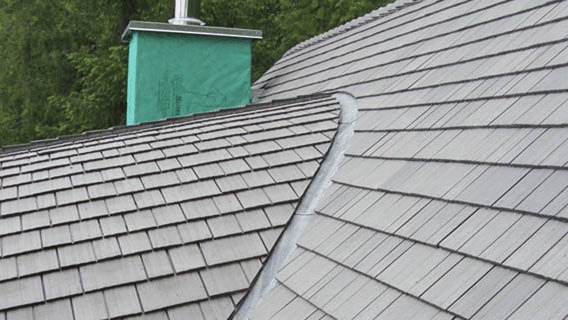 As a leading roofing contractor - we provide high quality installations of all types of roofing systems for residential, commercial, industrial and institutional locations. In addition to our successful roofing division, we also specialize in architectural wall cladding. Nelson Roofing & Sheet Metal Ltd has achieved a well-deserved reputation for quality workmanship and excellence. Nelson Roofing & Sheet Metal Ltd has a wide variety of resources at it's disposal to meet the needs of any job big or small from our ticketed installers, to our full time safety coordinators, equipment and suppliers. We have a large fleet of over sixty vehicles and a wide variety of specialty equipment designed for roofing and cladding. Nelson Roofing & Sheet Metal Ltd has a full-time Quality Control & Assurance officer who is responsible for ensuring that quality is not compromised. Training seminars are provided for all installers to maintain current knowledge on current roofing practices, and introduces them to new products and installation methods.